Caffè Poli SuperBar coffee beans is the result of the combination among the most valuable varieties of Arabica coffee in the world, with a touch of selected Robusta which grants depth in the cup. The taste is delicate and soft, prone to sour, with evident fruit and flowers bouquets. 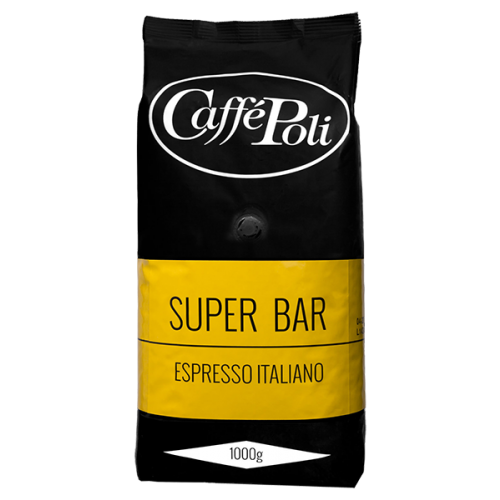 Caffè Poli SuperBar is ideal for qualified confectioner, with refined and demanding taste.